The Redwood S10 ukulele in pink is a fantastic model for those who're looking for an instrument that is easy to play, travels well, and most of all, provides endless enjoyment. Whether you're a child or an adult, the S10 is suited to players of all ages and skill levels. Maple has been used to craft the bridge, providing a responsive yet seamless connection between the strings and body. The nut supports the strings at the head to improve sustain and intonation, whilst the tuners uphold tuning integrity with absolute precision. The S10 has been completed in a pink finish. As well as that, the uke is supplied with a matching pink carry bag. 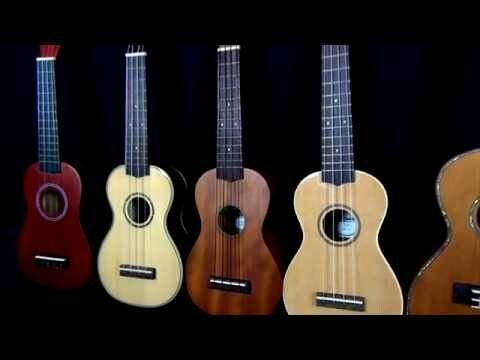 Posted on 31/05/2014 by Williams The ukulele is a cute little instrument, perfect for beginners. The colour is lovely. Only SLIGHT downside is the nylon strings need tuning very very often at first. I've had this for a few months now and this problem has got much better. Don't be too quick to judge the strings because they do turn out great. If it is a problem you can buy different strings.